Multi positional, ceiling or wall installation. 1.5kW or 3kW output, indicator light, quiet running, steel construction, IP20, powder coat white paint, LWH: 580 x 180 x 150mm. 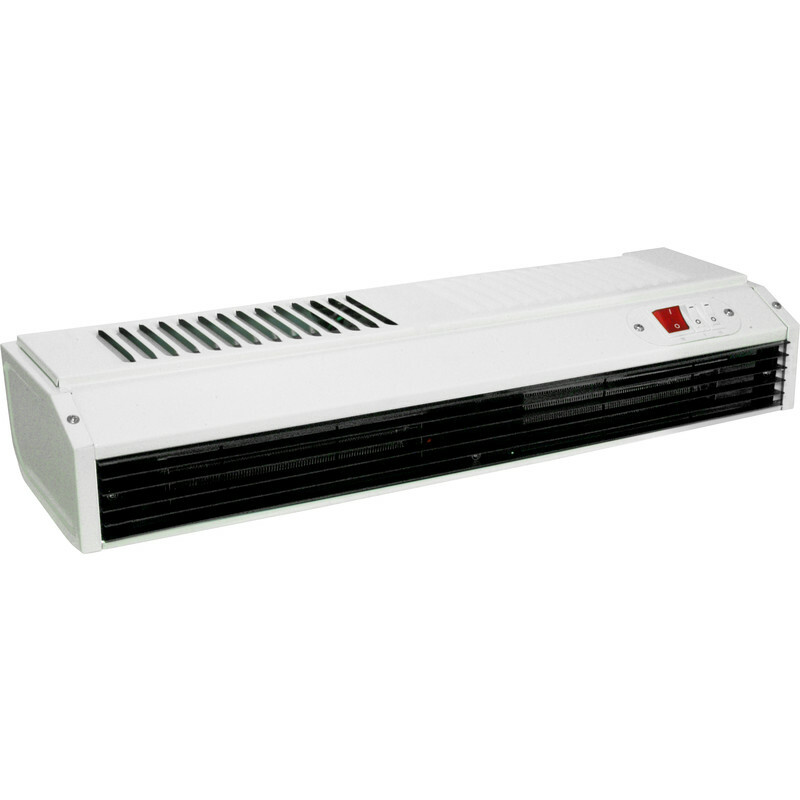 3kW Screen Heater White Powder Coated is rated 3.4 out of 5 by 5. Rated 1 out of 5 by kjr1972 from No Heat Bought this 3kw heater and even though the air flow is strong there is hardly any heat generated. Returned item for refund. Rated 4 out of 5 by Rikardo from Good value Compared to some other products I looked at, this was very good value for money. Works well and flexible power settings. Rated 2 out of 5 by Akki from Does the job. Bought this heater for my small office, the heater itself is good apart from the fact its very noisy and the heater only works on one setting which is LOUD.. As i sit near the front door where the heater is positioned i have to switch it off when the phone rings and if i leave it on too long it does give you a headache.